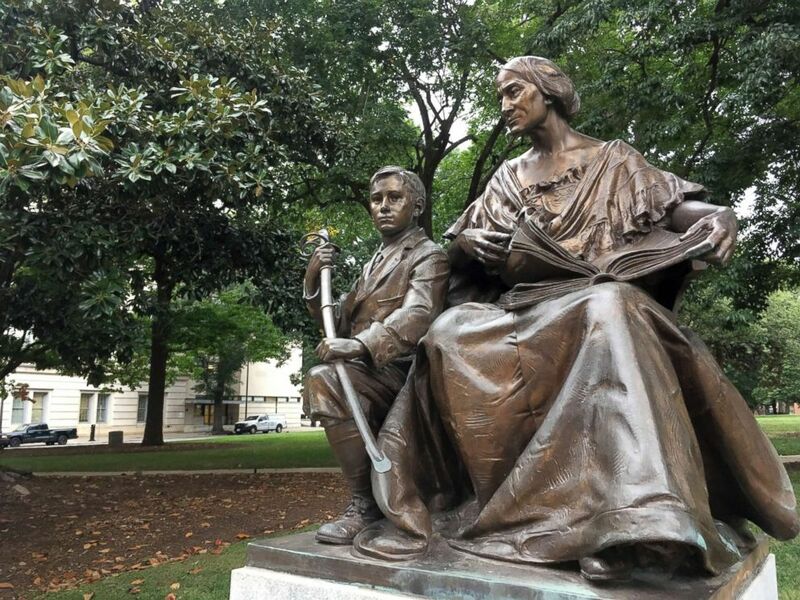 The vote comes two days after students removed a statue on a college campus. The students of the University of North Carolina may have torn down a Confederate statue from their campus, but a new vote by a state commission means that three other confederate statues will stay put at the state capitol. A commission voted today that three Confederate statues that currently stand at the state capitol in Raleigh are going to remain in place but have signage with more context added, along with the addition of one or more statues honoring African Americans. The Confederate Monuments Study Committee voted on their resolutions this morning, becoming the latest state to grapple with the remnants of the confederacy. North Carolina Gov. Roy Cooper asked for the three monuments -- the monument to the Confederate Dead of North Carolina, to Henry Lawson Wyatt who was the first Confederate soldier killed during the Civil War, and to the North Carolina Women of the Confederacy -- to be removed from the capitol and moved to a Civil War battlefield, but the commission today said such a move cannot happen. (Gerry Broome/AP Photo) A confederate monument honoring Henry Lawson Wyatt is seen at the state Capitol in Raleigh, N.C. The commission resolved that because of a state law that was put in place in 2015 barring the removal of such statues, they were "unable to recommend the removal or relocation of the three Confederate monuments because removal or relocation is not required to preserve these three monuments." The law was put in place in late July 2015, about two weeks after the confederate flag was removed from the South Carolina state capitol in the wake of the Charleston church shooting. (Jonathan Drew/AP Photo) A monument inscribed "To the North Carolina Women of the Confederacy" is seen on Thursday, Aug. 17, 2017 on the grounds of the old State Capitol in Raleigh, N.C. The stipulations made in that 2015 law that would allow for the removal of a Confederate monument include the protection of the monument or if it were moved to a place of equal prominence. 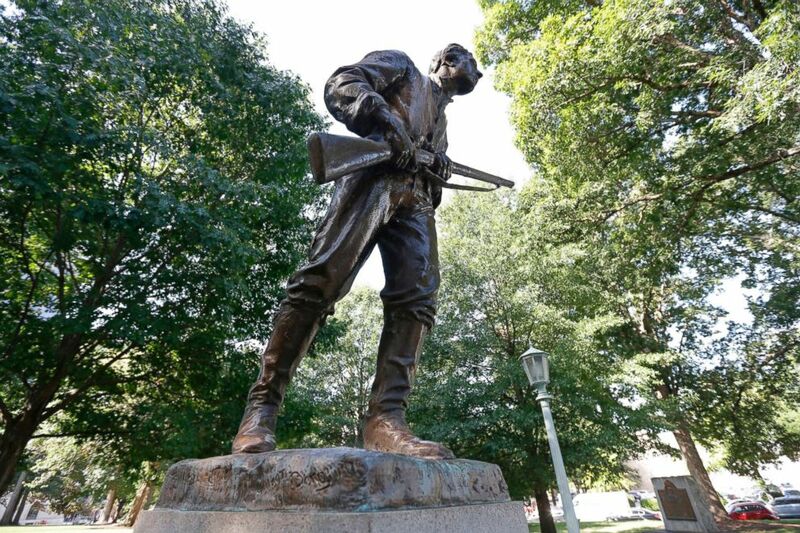 Michele Walker, a spokesperson for the North Carolina Department of Natural and Cultural Resources, said that the commission did not feel that the current state of the statues met those conditions. "The commisison's decision essentially was that the 2015 law really does not give them the flexibility to move those monuments," Walker said. (Julia Wall/Raleigh News & Observer/TNS/Newscom) Demonstrators and spectators gather around a toppled Confederate statue known as Silent Sam, Aug. 20, 2018 at UNC-Chapel Hill, N.C. 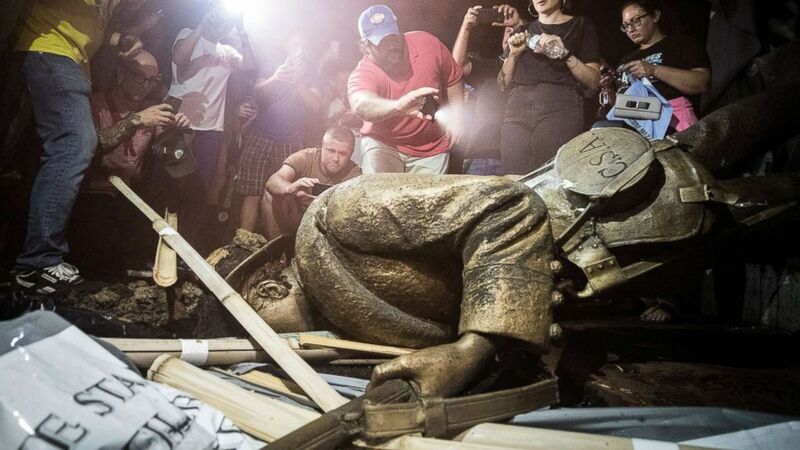 The vote came two days after about 250 protestors gathered around the "Silent Sam" monument at the University of North Carolina at Chapel Hill and toppled the statue.